Machine screw anchors are an anchoring device consisting of (A) an internally threaded conical expander designed with some means (ie. ribs or knurls) to prevent it from turning during expansion; and (B) an expansion sleeve which slips over the expander. 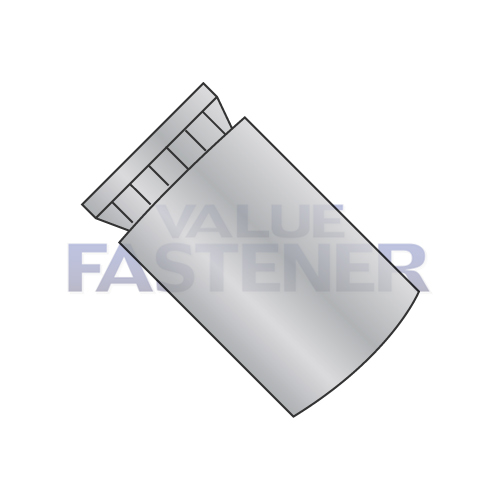 The outer walls of the sleeve can be either straight cylindrical or tapered, and the surface either smooth or corrugated. A spherical steel lockwasher at the top of the expansion sleeve is optional. Machine screw anchors are a caulking type anchor which provides a quick setting in brick, concrete or stone. The lead shield's maleability enable it to fill uneven or irregular spots in the hole. When tamped, the expansion sleeve holds the expander inside the hole in the masonry, equally distributing the load around the anchor. Fixtures can be removed or replaced without sacrificing holding power.